CAKE: You are welcome to bring a cake or cupcakes and balloons. Please NO ice cream or ice cream cakes. NO other food or drink is allowed. Please no confetti, silly string, glitter or pinatas. PARTY FLOW: Please arrive at your scheduled party time. When you enter the facility please go to the Ticket Window and pick up your party tickets. (Party tickets are your guests admission tickets). Please give the party tickets to your guests. If the VIP Celebration package has been chosen, unlimited pizza and pop will be available for the first 1 1/2 hours of your party. Pizza toppings are cheese or pepperoni. Approximately 1 hour and 15 minutes into your party, the DJ will announce the birthday person’s name and everyone gathers at the concession tables for cake and presents. Everything will be set up and ready to go at your party tables. The Party Coach will serve the cake and help with the presents. Then it’s the birthday person’s opportunity to win cash and prizes in the Party Machine. After your serving time, your party is welcome to continue the fun for the remainder of your party time. GUEST COUNT: All guests will be counted whether skating or watching—Including children, parents and grand parents or other adults whether they are watching or skating. Please use all of your party tickets. No refunds will be given. Bday person is included in head count. GUEST COUNT OVER 50 PEOPLE: (Party Palooza & VIP Packages) If you need to change the number of guests you are expecting—must be finalized when final payment is received. If you have additional guests over that number, we will allow up to a maximum of 10 additional people to be paid for on day of—all others will not be allowed to enter—no loitering in parking lot. GUEST COUNT OVER 40 PEOPLE: (Glow Crazy Package) If you need to change the number of guests you are expecting—must be finalized when final payment is received. If you have additional guests over that number, we will allow up to a maximum of 10 additional people to be paid for on day of—all others will not be allowed to enter—no loitering in parking lot. PARTY INVITATIONS: Invitations are free with your birthday party. We have 3 options to choose from—You are welcome to stop in during any public skating session and pick them up at the Ticket Window. Print them from our website, click on Birthday Party Button, locate the invitation button at the top of the page, then just click on button and print. We can mail the invitations to you. It takes approximately 7 to 10 business days to arrive through the mail along with $2 for shipping and handling. PAPER PRODUCTS/THEME PARTY: Red table cloths are provided. You’re welcome to bring balloons, paper products, tableware, table clothes, table center pieces. Please do not tape or stick anything to the walls including no banners, posters, wall hanging etc. PROGRAMMING/MUSIC/LIGHTING/FOG: Skating sessions are programmed to provide maximum entertainment for families, elementary and middle school students. All of our music is “radio” edited. Due to the nature of our business, theatrical fog and lighting effects (strobe and laser) are in use during the skating session. MUSIC SELECTION: Jumpin’ Jupiter to operate its music and PA system and supplies the DJ. We would be happy to discuss what type of music you would like played. PERSON IN CHARGE OF PARTY: May gain access no more than 10 minutes prior to party. Party guests will be admitted at the actual scheduled start time. Party will end at the agreed time. If your group arrives before this time, they are welcome to wait in the lobby. SKATE MATES: Skate Mates are available for rental with a $5 deposit, $2 refund when Skate Mate is returned. 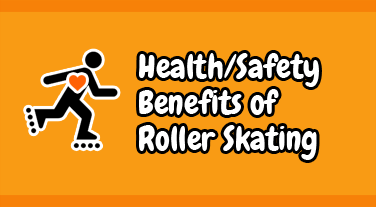 SOCKS: Socks are required for both roller skating and Bounce Quest activities. Please remind your guests to bring or wear socks. We have socks available for purchase also. Pre arrangements/vendor fees must be made with Jumpin’ Jupiter for any vendors at party ie. Magician, balloon animal artist, face painters, costume characters, photo booths. Any vendor arrangements will be noted on Private Party Confirmation and vendor fees (if applicable) at time of booking. BALANCE OF PARTY DUE: Balance of party is due 1 week before—JJ Reserve the right to cancel party if balance of party is not received on or before date. One person pays for entire party. DEPOSIT/BALANCE/CANCELLATION: $150 non refundable deposit goes towards balance of party. Deposit is not refundable if party is cancelled—up to 60 days to cancel from date scheduled. If party is booked less than 60 days in advance, and you need to cancel, you will be charged for the minimum number of people. Deposit may be transferred to another date a minimum of 2 weeks before original date of party. Weather related cancellations are rescheduled at a time that is convenient to both parties. PAYMENT TYPES: Payment of cash, Visa, Master Card or Discover, American Express accepted. Credit cards subject to 2.3% + $.30 per transaction free. Please no checks. We look forward to celebrating your special day! We hope your party has a blast!